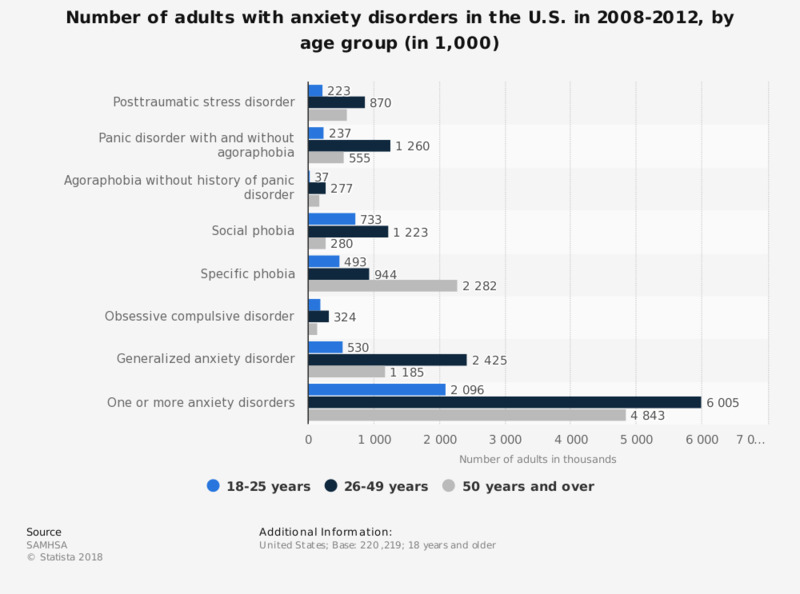 This statistic displays the number of adults with an anxiety disorder in the United States in the period 2008-2012, by age group. Some 2.4 million individuals between the ages of 26 and 49 years in the country had a generalized anxiety disorder with a past year. Many cases of eating disorders are likely to go unreported. Those with anxiety disorders have feelings of anxiety that can worsen over time and can negatively impact daily life.